Everyone seems to be on the go these days. Make sure they take your company with them. This 16 oz. 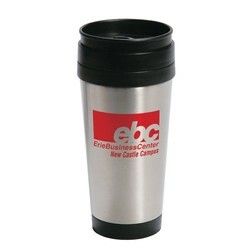 classic mug has a stainless steel exterior with plastic liner to keep beverages at just the right temperature. The classy design, with the easy grip handle makes this personalized travel mug a popular choice for company promotions or personal gifts. 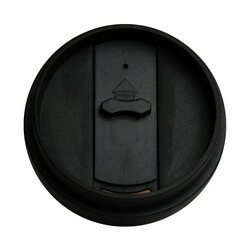 Contoured base fits most cup holders.